This week there are more books than usual since I received a few that were sent to an old address, but first, here’s a brief weekly update. In case you missed it, a review of Tainted Blood by M. L. Brennan went up last week. I enjoyed it very much and I can hardly wait for Dark Ascension—and fortunately, there is not a long wait for the next book since it’s being released next month! It’s the urban fantasy book I’m most looking forward to this year. There will be a book giveaway tomorrow. The next book reviewed will probably be The Invisible Library by Genevieve Cogman. It’s one of my favorite books of 2015 so far. The second book in Robin Hobb’s new trilogy about FitzChivalry Farseer will be released on August 11 (hardcover, ebook, audiobook). The first 50 pages of Fool’s Assassin, the first book in the trilogy, can be read on Suvudu. I loved Robin Hobb’s Farseer, Liveship Traders, and Tawny Man trilogies, and I was excited to learn she was writing more about what happened after the last of those three. Assassin’s Apprentice is one of the fantasy books I read when first starting to read the genre, and I’d recommend those new to these books start at the beginning with that one. 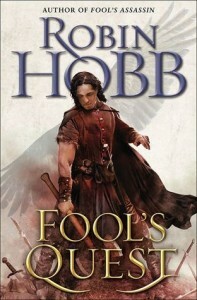 I’m about halfway through Fool’s Assassin right now and enjoying it very much. The book description below does contain spoilers for previous books. The final book in the Shattered Sea trilogy will be released on July 28 (hardcover, ebook, audiobook). 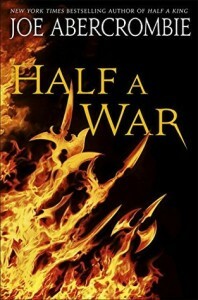 An excerpt from Half a War is available on the author’s website—and if you missed the first two books, there are also excerpts from Half a King and Half the World online. I haven’t yet read the second book, which came out earlier this year, but I really enjoyed Half a King. This debut science fiction novel will be released on September 22 (hardcover, ebook). 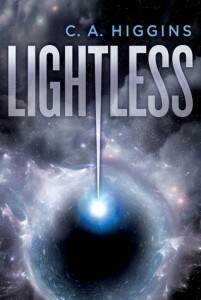 An excerpt from Lightless is included in the Del Rey and Bantam Books 2015 Sampler. A sequel, Supernova, is scheduled for release next year. The deeply moving human drama of Gravity meets the nail-biting suspense of Alien in this riveting science fiction debut. With bold speculation informed by a degree in astrophysics, C. A. Higgins spins an unforgettable “locked spaceship” mystery guaranteed to catapult readers beyond their expectations—and into brilliantly thrilling new territory. 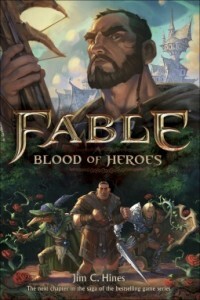 Fable: Blood of Heroes will be released on August 4 (paperback, ebook). An excerpt is available on the publisher’s website (click “Look Inside” underneath the cover image). 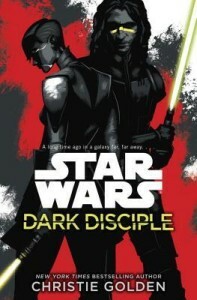 Dark Disciple will be released on July 7 (hardcover, ebook, audiobook). The first 50 pages can be read on Suvudu. This novel became available last month (hardcover, ebook, audiobook). 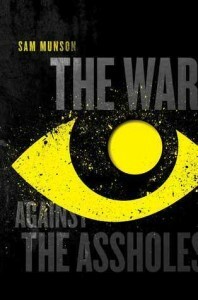 An excerpt from The War Against the Assholes is available on the publisher’s website. Contemporary fantasy meets true crime when schools of ancient sorcery go up against the art of the long con in this stunningly entertaining debut fantasy novel. Mike Wood is satisfied just being a guy with broad shoulders at a decidedly unprestigious Catholic school in Manhattan. But on the dirty streets of New York City he’s an everyman with a moral code who is unafraid of violence. And when Mike is unwittingly recruited into a secret cell of magicians by a fellow student, Mike’s role as a steadfast soldier begins. These magicians don’t use ritualized rote to work their magic, they use willpower in their clandestine war with the establishment: The Assholes. 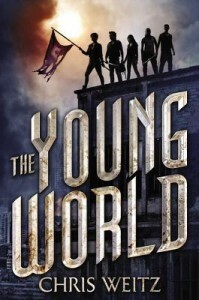 The Young World was released in paperback last month and is also available in hardcover, ebook, and audiobook. USA Today has an excerpt from it. But when a fellow tribe member discovers a clue that may hold the cure for the Sickness, five teens set out on a life-altering road trip, exchanging gunfire with enemy gangs, escaping cults and militias, braving the wilds of the subway – all in order to save humankind. 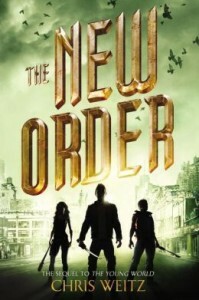 The New Order, the second book in The Young World series, will be released on July 21 (hardcover, ebook, audiobook). A free preview of the first 73 pages is available online, and it’s also possible to get it for the Kindle or the Nook.